Creative Materials has found that brands often pay too much for tile simply because the products specified are not always produced by a manufacturer that specializes in the required product attributes, which means that the products may not be the best value for the given tile types. Creative Materials offers guidance into the complex world of tile manufacturing. Frequently we can reduce cost (including offering product costs lower than large manufacturers) just by recommending different products, each from a manufacturer that specializes in producing tile with the required attributes of that tile type. Creative Materials maintains a global network of 100+ tile manufacturers to supply our many brand clients. This means that brands have more choice and are not limited to designs from one manufacturer when working with Creative Materials. Additionally, we leverage the collective spend of our clients to create increased buying power. This helps us keep prices low for our corporate brand clients. Working with Creative Materials, brands often obtain factory-direct pricing and realize production run purchasing efficiencies. There is often a need for brands to take a prototype design concept and scale it down to make it more practical and economical, which usually involves re-selecting various finish materials. 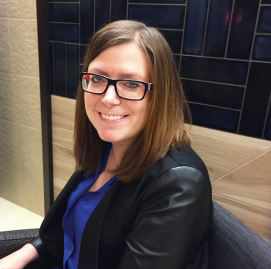 Creative Materials’ Design & Sourcing Department operates out of a massive tile-only architectural library and provides no-cost sourcing and design services. Some examples of our service offerings include developing tile suggestions from mood boards or inspiration imagery, researching product options to reduce cost while maintaining design intent, creating layouts to fit the clients’ spaces, and designing tile patterns. 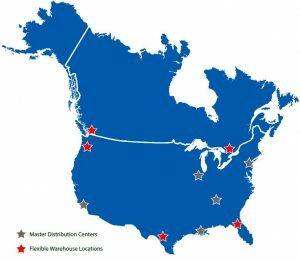 Creative Materials maintains a network of five master distribution centers and additional flexible warehouse space arrangements across the USA and Canada. Utilizing this network, Creative Materials optimizes the appropriate stocking locations for brands in order to provide 2-3 day average lead times and lower system-wide freight costs. Creative Materials’ supply chain network is designed to minimize unnecessary overhead and is built specifically to service brand roll-out programs. You don’t need showrooms or unnecessary service centers, so we don’t have them. We are focused on optimizing the design of your supply program to maximize value for your brand. Creative Materials offers both delivered and plus-freight program pricing options depending on the needs and preferences of clients. Many clients choose the “all in” delivered option which includes freight. This option eliminates one of the most frequent franchisee complaints – the high cost of freight. Our expansive manufacturing network, by nature, offers built-in manufacturing redundancy. Although we partner with vetted, trusted manufacturers, unforeseen instances or natural disasters can always occur. Should an issue occur at one manufacturing facility, Creative Materials always has a back-up plan. And because a dedicated account management team is always monitoring inventory and coordinating production scheduling with our manufacturing partners, we’ll know if the back-up plan needs to be executed so costly delays can be mitigated. Creative Materials guides brands through a number of considerations as we work to build out proactive program services. We provide centralized account management to all brand clients. A small account team, housed under one roof in our corporate headquarters, responds to all contractor, architect, and franchisee inquiries for each project for your brand, through a dedicated phone number and E-mail address. The account team maintains full control of pricing for all orders and ensures that the pre-negotiated low pricing is quoted consistently nationwide. Order processing is easy with a custom-branded, easy to use order template which can be completed digitally with the click of a button. The account team operates with a working knowledge of your brand and is able to provide consultative services and answer FAQ’s. Information on various product nuances, for example, how to handle outside corner details, is shared to ensure compliance with brand standards. The need for RFI’s is mitigated. Under the account team’s watchful eye, discrepancies in the drawings are ironed out and ordering errors are caught and corrected. The account team is also responsible for inventory management (inventory is stocked specifically for your brand only). Because every order flows through this small, centralized team, the model makes it simple for the team to monitor your inventory and ensure constant availability of material. The majority of our clients choose to have Creative Materials supply their setting materials along with the tile for a complete package, in order to ensure that the specified setting materials actually get used. We are able to provide specification enforcement, if a brand chooses, by preventing the shipment of tile without the specified setting materials. We can enforce other components of the tile package as needed. If specification enforcement is used, Creative Materials can also provide flooring system warranty administration. Many setting material suppliers will provide flooring system warranties, however, without a way to ensure that the specified materials are used, contractors inherently default to using the lowest cost (likely inferior) option, or what is leftover from previous job sites. Often a multitude of setting materials are used on one job, therefore negating any manufacturer warranties. If there are any issues on a project, Creative Materials’ consolidated tile supply programs offer a “paper trail” to expedite warranty activation. Creative Materials also handles administration of the warranty, so our clients call us directly if there is a problem and we handle the rest. The Quality Control Department manages pre-installation recommendations, jobsite issues resolution, and post-installation guidance customized for each brand’s specified materials. Creative Materials offers job site visits, including field reports, as needed. Cost-savings and lead-time reports are provided to clients and are customizable based on the preferences of the brand. Reports typically include average delivery time, average store savings compared to previous specifications, number of stores supplied, and any notes from the field. Creative Materials is accustomed to guiding brands through program services development and to helping clients make choices that are right for their brand. A consolidated tile supply program from Creative Materials ensures consistency of the spaces that represent your brand, minimizes the need for oversight due to centralized account management, and reduces cost through product and supply chain optimization. Don’t just take our word for it. See how it has worked for these brands.